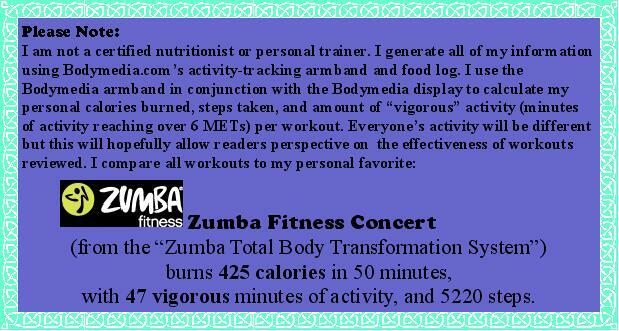 I highly recommend Zumba, even though it’s expensive. I’ve tried some of their other DVD sets too– the one from 2002 is kind of silly, and the new one, the Zumba Fitness Exhilarate Body Shaping System DVD Set , is pretty good (review coming soon). They also have video games, and most gyms with aerobic programs have a Zumba class. Those classes are gaining more and more popularity every day, but I’m told they really depend on the instructor. I’ve never taken one, but I’d like to someday.